Scattering phenomena play an important role in modern physics. Many significant discoveries have been made through collision experiments. 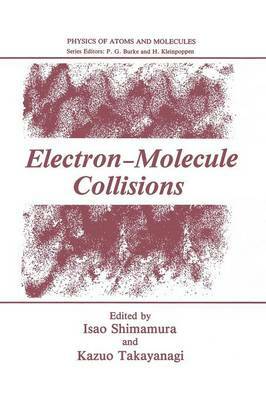 Amongst diverse kinds of collision systems, this book sheds light on the collision of an electron with a molecule. The electron-molecule collision provides a basic scattering problem. It is scattering by a nonspherical, multicentered composite particle with its centers having degrees of freedom of motion. The molecule can even disintegrate, Le., dissociate or ionize into fragments, some or all of which may also be molecules. Although it is a difficult problem, the recent theoretical, experimental, and computational progress has been so significant as to warrant publication of a book that specializes in this field. The progress owes partly to technical develop- ments in measurements and computations. No less important has been the great and continuing stimulus from such fields of application as astrophysics, the physics of the earth's upper atmosphere, laser physics, radiation physics, the physics of gas discharges, magnetohydrodynamic power generation, and so on. This book aims at introducing the reader to the problem of electron- molecule collisions, elucidating the physics behind the phenomena, and review- ing, to some extent, up-to-date important results. This book should be appropri- ate for graduate reading in physics and chemistry. We also believe that investi- gators in atomic and molecular physics will benefit much from this book.